Norwegian Helge Stensland fled to the Philippines in April of this year after stabbing his brother in October 2016. Bureau of Immigration photo. 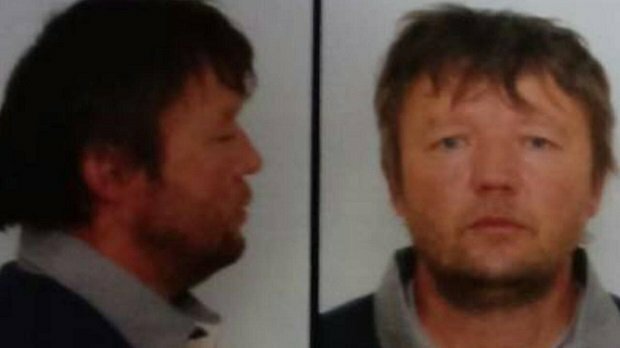 A Norwegian fugitive, wanted in his home country for fatally stabbing his brother, has been arrested in the Philippines. Helge Stensland, aged 52, was arrested by agents of the Bureau of Immigration’s Fugitive Search Unit (BI-FSU) in Santa Cruz, Laguna, immigration chief Jaime Morente said today (Monday, June 11). Mr Morente narrated how Stensland and his brother, Audun, had a violent altercation at the fugitive’s home in the town of Hellvik in October 2016. During the fight, Stensland grabbed a knife fatally stabbed his brother in the chest with a knife. The blade pierced his heart and he died instantly. In a statement, Mr Morente said: “During the trial, Stensland invoked self-defence as the cause of his brother’s death, although prosecutors charged that he should be held liable for murder. Stensland was sentenced by a Norwegian court to seven years in prison and was ordered to pay $220,000 in damages to the victim’s widow and four children. However, rather than complying, the Norwegian fled to the Philippines on April 11 this year. “His case was under appeal and was scheduled for hearing when authorities learned that Stensland and his family had disappeared and had fled to the Philippines,” Mr Morente said. FSU chief Bobby Raquepo said that Stensland had been a regular visitor to the Philippines for the past 20 years. He is married to a Filipina with whom he has two children. Mr Morente said his department was now processing Stensland’s deportation order. He will also be placed on the blacklist to prevent him returning to the Philippines.